Concerts around the city Saturday delayed their start for a few seconds to allow time to reflect on the wounded spirit of Pittsburgh. A moment of silence, a chance to collectively consider tragedy and loss, to look mortality in the eye and to ponder life’s deeper questions and mysteries, and to nod to that final silence we’ll all one day face. And then, music filled that silence. DIGITAL REVIEW — The thrill of discovery fills the new recording called Breaking the Silence by the Clarion Quartet, an American ensemble formed specifically to perform “Entartete Musik” that was suppressed by the Nazis. The musicians’ commitment, imagination, and high technical standards make an irresistible case for the greatness of the music they’re performing. The players, all members of the Pittsburgh Symphony Orchestra, formed their ensemble intending to play a single benefit concert. But they were so inspired by the music they were learning and the joy they found in making music together that they decided to remain together to explore and promote “Entartete, ” or so-called “degenerate,” music. 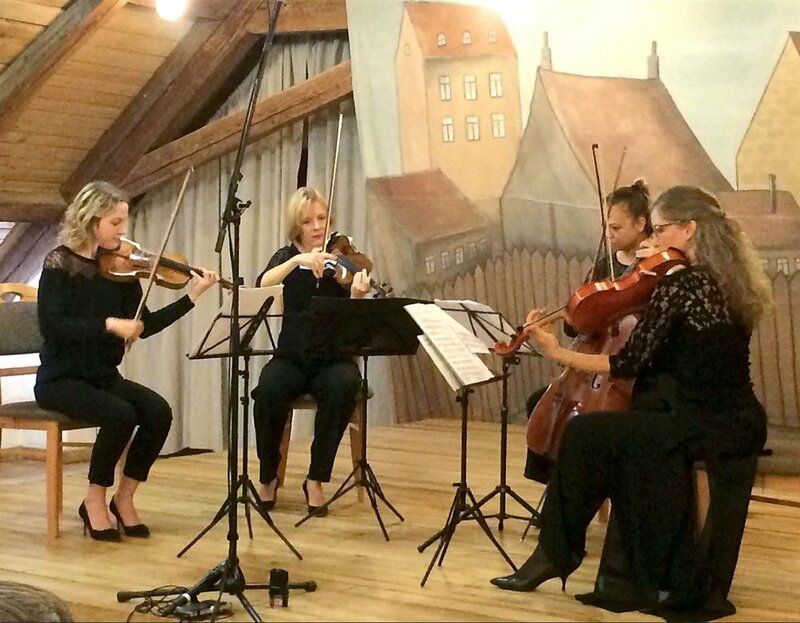 The recording resulted from the quartet’s performance on May 22, 2016, at Terezín, the Czech concentration camp where one of the pieces was written. The quartet members believe that adding their voices to the work of scholars, other performers, and music lovers will contribute to bringing this repertoire to its rightful place in musical life. Theresienstadt looked like a normal Czech village when the Red Cross visited it for inspection in June 1944. There was a bank, a bakery and children singing and performing. But beneath the surface, a sinister truth lurked. Theresienstadt was a transitional concentration camp used by the Nazis during World War II. Many artists lived there, and in this strange set up, there was some freedom to create. Composers and musicians wrote and collaborated in spite of the awful conditions. It was the Red Cross visit, however, that made the prisoners realize the camp’s leniency wasn’t permanent, nor was their time there. “But they still continued to create, that’s what is so amazing to us,” says Clarion Quartet violist Tatjana Mead Chamis. According to the United States Holocaust Memorial Museum, 90,000 Jews from Theresienstadt were deported further east, certainly to die, and about 33,000 perished within the camp itself. Although the history of Theresienstadt, as a complicated creative hub in spite of the horrors of WWII, is fairly well known, the music that was created there is less so. If you don’t yet recognize the names of these gifted composers whose work was suppressed during the Holocaust, you’re not alone. But a group of four Pittsburgh Symphony Orchestra musicians, dubbed the Clarion Quartet, is on a mission to change that. The Clarion Quartet — Marta Krechkovsky (violin), Jennifer Orchard (violin), Tatjana Mead Chamis (viola) and Bronwyn Banerdt (cello) — last month released a CD with the music of the three Jewish composers whose music was labeled as “degenerate,” or entartete, by the Third Reich. The inspiration for the CD, called “Breaking the Silence,” emerged following a concert the quartet played in the summer of 2016 at the Theresienstadt concentration camp in the Czech Republic, which included music that had been composed and premiered at that camp by inmate Viktor Ullmann. In 2016 Curtis announced its first alumni entrepreneur grants for projects highlighting innovation, sustainable community impact, and creative employment of musicianship and skill. After receiving an overwhelming response to the call for applications, Curtis awarded three grants of $2,200 each in the categories of Community, Performance, and Innovation. Here, the alumni recipients discuss their projects. What, exactly, is “degenerate” music? Under the Nazi regime, the term (“entartete” in German) meant music of modernist tendencies rather than Romantic ones, and especially the work of Jewish composers. In 2016 four string players from the Pittsburgh Symphony — three of them Curtis alumni — joined together to perform “entartete” music alongside a speaker who provided historical context, noting how composers labeled “degenerate” were silenced through persecution or imprisonment. The musicians quickly realized how important and powerful it was to give these composers a voice again, and the Clarion Quartet was born. Members of the Pittsburgh Symphony who formed the Clarion Quartet visited on May 24 2016 Terezin or Theresienstadt. Their concert of Viktor Ullman and Erwin Schulhoff took place in the room where the composers heard their music during the Second World War. The concert was introduced by Pittsburgh Symphony Associate Principal Viola Tatjana Mead Chamis. In July 2017 the Clarion Quartet recorded the music for the Naxos label. Terezin was the “model camp” run by the Nazis who were attempting to demonstrate their support of interned Jewish artists to the Red Cross. After the war the story emerged of the tens of thousands who died there including barracks of children. Those who weren’t deported for Auschwitz died of disease, cold and starvation. Last fall, violist Tatjana Mead Chamis recruited three of her colleagues in the Pittsburgh Symphony Orchestra to help her regenerate degenerate music. Entartete Musik, or degenerate music, was a term used by the Nazis to discredit or suppress composers, particularly Jews, in the Third Reich. Since that time, the Clarion Quartet — Ms. Chamis, cellist Bronwyn Banerdt and violinists Jennifer Orchard and Marta Krechkovsky — has researched, rehearsed, performed and shed light on music by composers such as Viktor Ullmann and Erwin Schulhoff, who died in concentration camps. The idea for such a quartet came from Pittsburgh doctor Frank Lieberman, who approached Ms. Chamis with the idea for a concert of Entartete music. The grueling schedule of Pittsburgh Symphony Orchestra's current European tour calls for 14 concerts in 16 days, but some of its musicians have decided to put one of their few days off to inspired use. 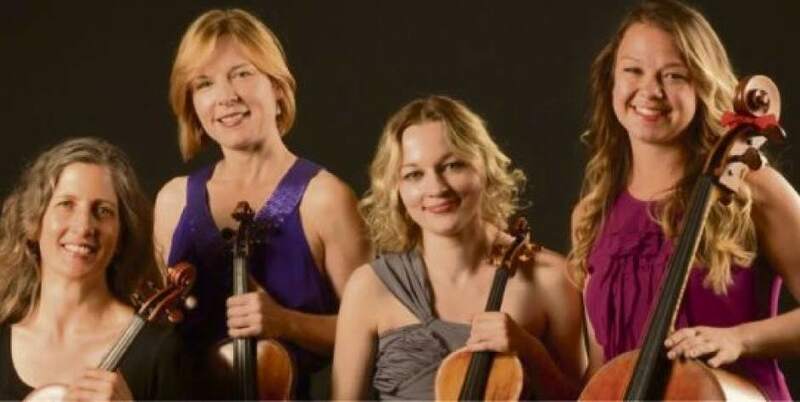 The Clarion Quartet was formed by associate principal violist Tatjana Mead Chamis to perform “Entartete” music, music which was suppressed by the Nazis before and during World War II. She noticed the location of the Theresienstadt concentration camp in the Czech Republic was a short distance from Dresden, Germany — about as far as Youngstown, Ohio, is from Pittsburgh — and she saw their day off will be in Dresden. Chamis took the idea of performing Entartete music at a memorial on the site of the concentration camp to music director Manfred Honeck, who enthusiastically backed the plan.